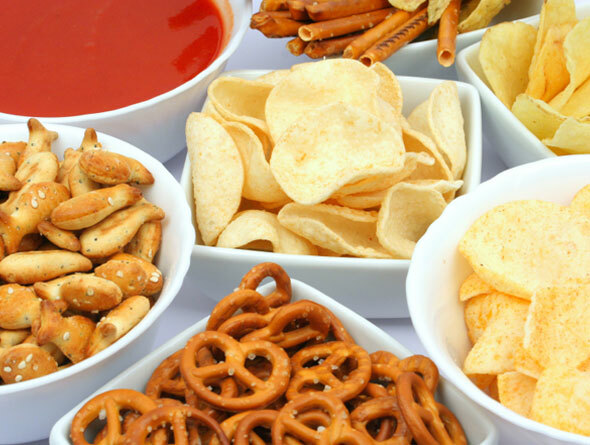 You can easily tick off a list of salty, sodium-rich foods: potato chips, popcorn, hot dogs, pizza, pickles and more. But there are plenty of high-sodium foods you probably aren’t aware of. According to the centres of Disease Control, Americans get one-third of their sodium from breads and rolls, chicken and chicken dishes, pizza, egg dishes and pasta dishes. That’s partly because these foods contain added salt and partly because we eat them so often. Here’s another staggering number: up to 80% of the salt in your food was put there by someone other than you. Your body needs little bit of sodium in salt to contract muscles, send nerve impulses, and maintain a healthy balance fluids. But, too much sodium can increase blood pressure, make the heart work harder, thicken and stiffen blood vessels, and more. Higher salt and sodium consumption have been linked to increased risk of heart disease and stroke. HOW CAN YOU AVOID THESE HIDDEN SALT MINES? Restaurants foods are often loaded with salt. Many restaurants now offer low-sodium choices. If your food is being made to order, don’t hesitate to ask that it be made without salt.